Add some rustic flair to your Spring/Easter Decor! 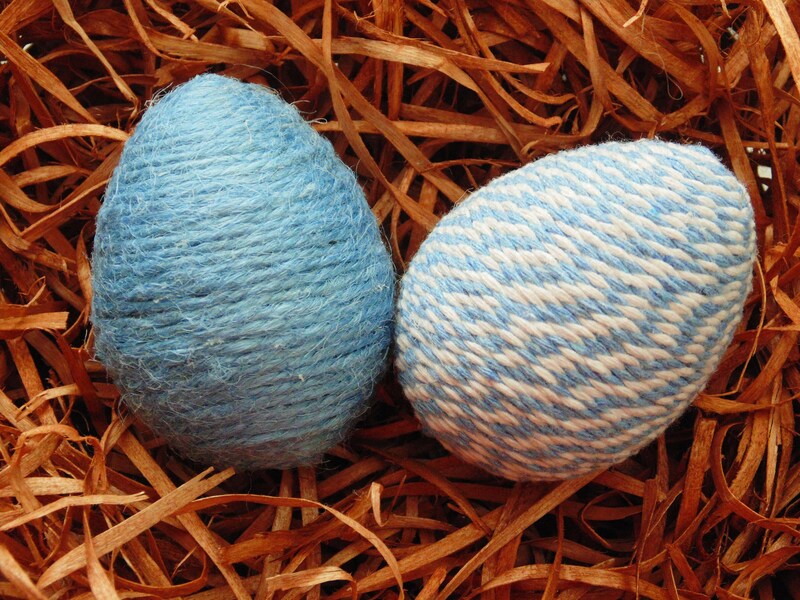 This SET OF TWO EGGS, are approximately 3 inches, around the same size as real large eggs. Hand wrapped with natural Powder Blue Jute Cording and Natural Twisted Cotton Cord-blue/white. Great gifts for the Kiddos baskets or maybe your own Spring Arrangement- i.e., bowls, baskets, centerpieces.